Water promotes healthy skin, helps prevent afternoon fatigue, and—when served cold—helps keep you cool. Because being in hot weather increases fluid losses, it’s easy to become dehydrated in the summertime, especially if you exercise in the heat. If you exercise fewer than 2 times per week, multiply your weight in pounds by 0.5. For example, if you weigh 150 pounds and exercise 1 time per week, your base fluid needs would be 75 ounces or about 9 ½ cups. If you exercise 2 or more times per week, multiply your weight in pounds by 0.66. That means if you weigh 150 pounds and exercise three times per week, your base fluid needs are 100 ounces or 12 ½ cups. 2 cups to your base fluid needs if you are pregnant or nursing, you are outside and the temperature is hotter than 80°F, or you have a history of kidney stones or urinary tract infections. For every 8 ounces of caffeinated beverages consumed including coffee and tea, drink an additional 4 ounces of water. For each alcoholic beverage, add 4 ounces of water. If you work out at high intensity on a regular basis, follow hydration guidelines for athletes, which includes drinking 16 ounces of water one hour before exercise, 4-8 ounces of water every 15 to 20 minutes during exercise, and an additional 8 ounces of water within half an hour of finishing your work out. Did you know that American Family Fitness offers nutrition counseling services with a Registered Dietitian? Registered dietitians are food and nutrition experts who can translate the science of nutrition into practical solutions for healthy living. We offer our members this service at all of our clubs at the most affordable prices in the area. If you have nutrition questions or a health goal that requires a change in what you eat, contact nutritionservices@amfamfit.com to find out more and to schedule an appointment. 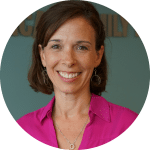 Pam Speich is the Director of Nutrition Services at American Family Fitness in Richmond, VA. She graduated from Carson Newman College with a B.S. Degree with Honors in Foods and Nutrition with an Emphasis in Dietetics. She completed her dietetic internship at Vanderbilt University Medical Center and earned the credentials Registered Dietitian (RD) in 2000. Pam’s experience includes clinical pediatrics, wellness research/writing, public speaking, nutrition counseling, wellness program development, sales and marketing, and food labeling including nutrition facts panels, ingredient statements and allergen declarations. Send Pam an email to schedule a nutrition counseling appointment.